Binder_Clips is rated 4.5 out of 5 by 8. Rated 5 out of 5 by SAMPLES from White Medium Binder Clips Perfect for our project. JAM makes it all possible and easy. Rated 5 out of 5 by MerryMerryMary from Pink Large Binder Clips I bought this to use at the office. I color code different paper work and these work great plus I like the color. Arrived quickly. Very happy with JAM paper products. Rated 5 out of 5 by Rae Lawrence from PERFECT TO SET APART We purchased are binder and paper clips in pink to match our folders and corporate image. The binder clips are well made and we have used them faster than we thought we would. We will be ordering more. Our clients do notice the attention that we put in to every detail of our business with them. Rated 5 out of 5 by skiAspen123 from Love Colorful Binder Clips These are very cool. I use them for every internal memo. Love the orange. 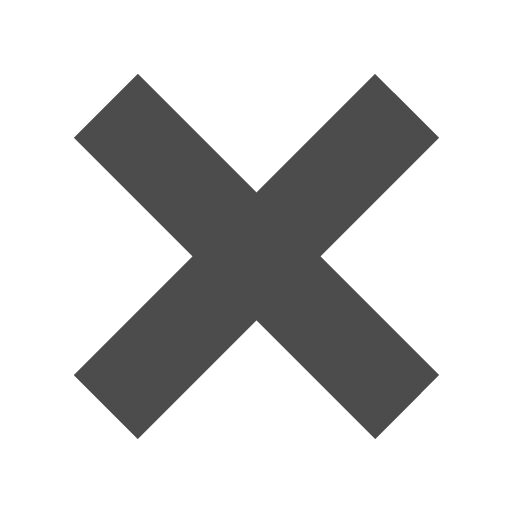 Matches our logo. Everyone asks where I found them! Rated 1 out of 5 by Young at Art from colored binder clips I am color coding my office and bought bright colored binder clips. When they arrived, I discovered that they were mini clips, totally unusable for my needs. Unfortunately, they were not labeled to indicate "mini". With the restocking fee and shipping, it didn't make sense to return them. Disappointed. 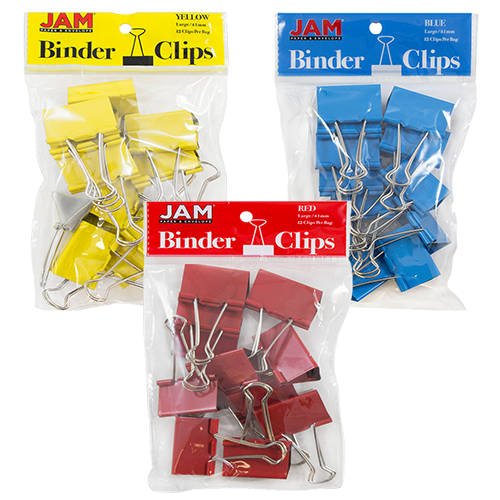 Do you sell or make (not seeing on site) binder clips with text OR patterned binder clips? Yes we do! If you look under SM Design Clips or Med Design Clips, we have a few options! Unfortunately we do not offer bulk pricing for 500 clips (20 packs). Do you have Medium Binders in Silver and Gold With out the design on them ? We do not, but we do have over 8 solid colors to choose from! do you have this product larder ;30 mm ? Sorry, we only have one size binder clip (19mm). How many clips per bag? Hello! The number of clips per pack depends on which size clip you pick. Our Small Clips come in packs of 25. Thanks for the question! These are not painted - they are solid cold colored metal, so they technically cannot flake. My art prints hang on 1/4&quot; wire - when the clip is placed with 1/4&quot; wire, it must close on a single piece of paper (an art print) ----- will it close with the 41mm size? Yes it will close onto the paper. Is the 19mm the smallest binder clip? I need large ones but in white. 19mm is the only binder clip size we carry - sorry about that! Please let us know if you have any more questions! In a bind? Maybe these clips can help. Binder Clips will help keep your files both organized and secure, not to mention they’ll look great doing it. Leave the handles upright for handling and hanging, or remove them all together for permanent binding. They can also be folded flat for storage. The versatility of these clips will surely make any bind or problem be brushed away with the perfect combination: color and organization. Solid Colored Binder Clips come in packs of 25, 15, or 12 (depending on size) and include Blue, Red, Yellow, Green, Pink, Orange, Purple, Gold, Grey, and White. Design Binder Clips are available in packs of 10 and include Green and Grey Design, Black with Blue and Peach Honeycomb Design, Green/White Polka Dot and Dark Brown Damask Design, and Green and Blue with Brown and White Stripes. Binder Clips come in sizes of 19mm (3/4 inch), 32mm (1 1/4 inch), and 41mm wide and are great for those looking to add some creativity to their clipping needs. Check out our blog: Life Hacks: Binder Clips!